TRIM is a technology that helps keep SSDs at their optimum speed and without which, your zippy new solid state disk would quickly find itself running short on performance and usable storage space. 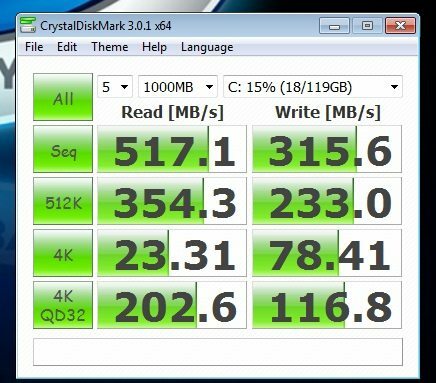 This test checks to see how an SSD’s performance degrades (and therefore the efficiency of TRIM) by loading up all its available storage space and then cleaning it out again with a simple deletion. Not much of a drop off here with the only real difference being in the sequential read/write speeds. So at the end of this review, what do we have? A drive that performs pretty well, is priced competively and its TRIM command works well enough. Performance in some instances wasn’t as strong as I’d have liked. The larger drives out perform this little guy in most instances, but apart from ATTO there wasn’t a lot in it. 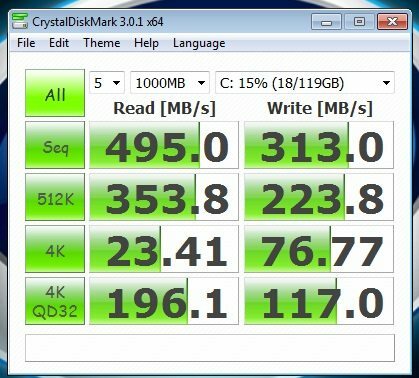 The overall package isn’t amazing, but this is a good budget SATA III SSD if you’re looking to find a small boot drive that’s a lot faster than your HDD.